Seeing an accident happen in front of you can be scary. Things can all happen very quickly, and it can be hard to work out what to do for the best. After all, you’ve probably never been in a situation like this before and you might feel that learning to drive hasn’t prepared you for what to do now you’re behind the wheel of your very own car. That’s why it’s a good idea to be prepared for every eventuality. Being prepared for anything you encounter on the road can help you to keep a cool head, as well as keeping you and other road users safe from any further potential accidents. If you’re in your car approaching an accident then it’s a good idea to use your hazard lights to warn any approaching traffic of the incident. According to Green Flag, your first priority arriving at the accident should be to check if anyone is injured, and if they are call 999 for an ambulance. However, do not put yourself or others in danger, and do not try to move any injured people unless the emergency services tell you to. All cars that are involved in any sort of accident are required to stop, regardless of whether or not they are to blame. This is so that they can exchange any insurance details, as well as making sure that everyone is OK. The AA say: “It is an offence if you either fail to stop at the scene of an accident or fail to report an accident in which you are involved.” If an accident results in someone getting injured, or an injury to an animal or property, then it’s even more important that the people involved stop and remain at the scene for a reasonable period of time, as well as giving their name, vehicle and address details and, if necessary, showing their certificate of insurance. As a witness to an accident, Green Flag say that if you see a car driving away from the scene of an accident in which they have been involved then it’s a good idea to make a note of their registration plate number. The police, or the person involved, may ask you for this information. Another important thing to remember if you come across an accident, or if you are involved in an accident, is that it’s illegal to move any cars that have been involved, or any debris. Leave the scene exactly as it is, and encourage other people to do the same. This rule still applies even if the accident has caused a blockage for other drivers. Also make sure that you stay safe around the scene, avoiding any trip hazards. You should also avoid smoking at all costs, in case there is a fuel spillage. If you want to get out of your vehicle and help people involved in an accident then make sure it is safe to stop first. Green Flag advise that you should not attempt to move anyone who is injured, unless the emergency services have told you to. Instead, you can cover any injured people with a blanket, and try to keep them warm until emergency crews arrive. They are likely to be in shock as a result of the accident, so keeping them warm and comfortable is helpful. Green Flag advise that people who are involved in the accident may ask you to give a witness account of what you saw, as an impartial bystander. By law, you don’t have to give a witness account, but in some cases the police may ask you to give a witness statement instead. If you give a statement to the police, or offer a witness account, it’s a good idea to take notes and/or photos of the scene, so that you can remember the details properly and clearly. Citizens Advice recommend keeping evidence and your original notes as it may be some time before any claims are settled or court proceedings are heard. Liability is a key factor that the police and insurers have to determine when it comes to road accidents. Citizens Advice say that “it may be obvious that someone caused the accident and there will be no dispute about liability. 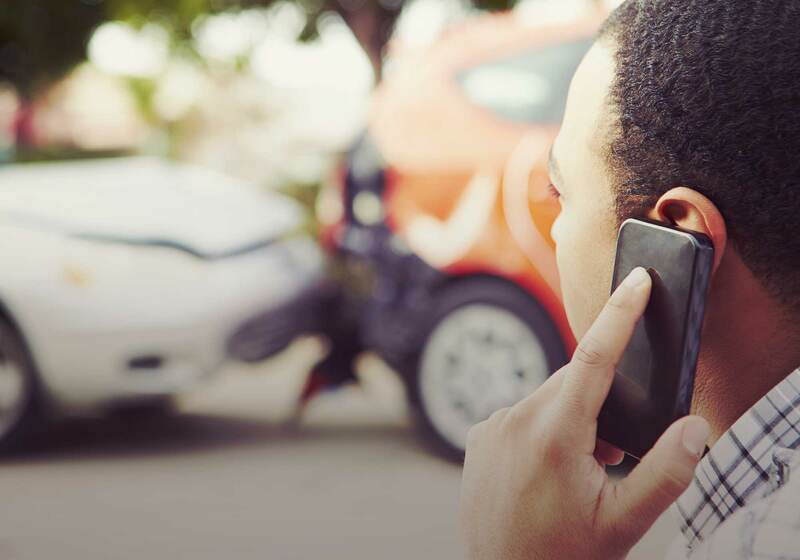 However, there will be cases where it is not obvious, or where the extent of liability is difficult to work out.” As a driver who has witnessed an accident on the road, your witness account may help insurers or the police to determine which party is liable. Motorways are statistically the safest roads to drive on, but accidents can still happen. The high-speed environment can mean that if you do see an accident happen on a motorway it can be more serious, but as with other roads there are some simple steps to follow. The most important thing is to make sure that you don’t put yourself in danger. Check out our detailed guide to motorway accidents for more information about what you should do if you witness, or are involved in, an accident in the motorway.